Jet Odrerir will make his final appearance with 2 Shots and a Chaser this Saturday. Jet and his wife Melanie Brew have been key members of the expat music scene in Phnom Penh for several years – ever since there was even a 'music scene' of which to speak. Jet has been the lead singer and founder of several bands (so many it must be hard for even Jet to list them all) including Betty Ford and the GT Falcons, Bum N Draze, Station to Station, Muscle of Love and, most recently, Psychesonica. This musical chameleon is one of the most warm-hearted and humble guys you could ever have the pleasure of meeting. His bands are focussed on having fun with music and doing something cool and different. 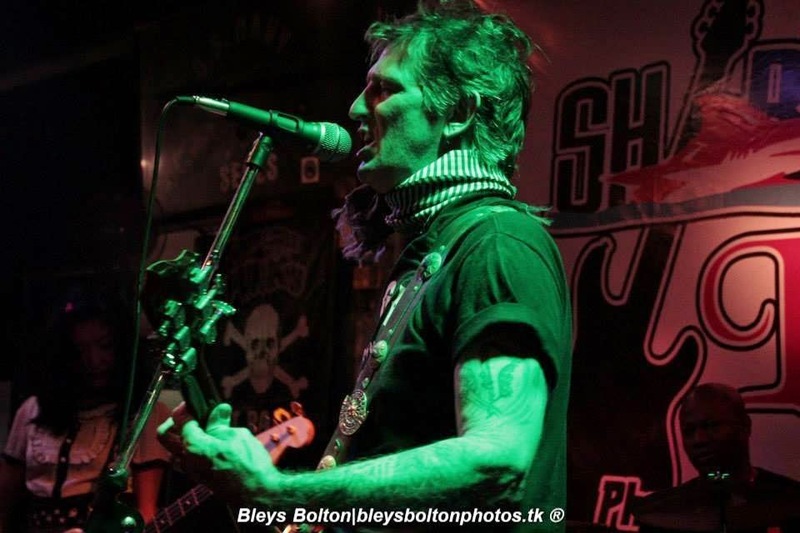 Catch 2 Shots and a Chaser for the last time on Saturday night at Sharky's when Jet will reprise his set of rockabilly and 1960's rock'n'roll driven by acoustic guitar, saxophone and drums. The band are also at 3Mangos Guesthouse on Friday and you can sit in on Jet's weekly Electric Eclectic Limelight Jukebox Jam open mic night on Thursday at Paddy Rice. Leng Pleng wishes Jet kind regards and all the best for his imminent return to the USA. Another emotionally charged night in store on Friday at Equinox as The Fumes play their last gig with lead singer-guitarist Karin Schelzig before she jets off to new pastures. See this recent wrap for a picture and quote from the band. Jack will refrain from getting teary-eyed and sentimental and focus, instead, on a new band entering the Gig Guide this weekend. Lead singer Kristen Rasmussen has gathered some Phnom Penh musicians together to form country-blues-rockabilly outfit Mekong Messengers. Listen to the results on Friday night when the Messengers début at Slur Bar. 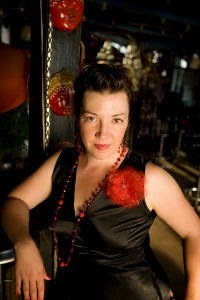 Washington DC-born mezzo-soprano Kristen has years of classical voice training behind her but has eschewed her Coloratura in favour of a Southern country twang. More Tanya Tucker than Kiri Te Kanawa. In parting, here's a video showing the on-stage energy of our departing friend, Mr Jet Odrerir and his band 2 Shots and a Chaser in action last year at Equinox. Sweet Caipirinha is a two-man band comprising of Nas Bossalover and Alan Breen. Nas is a Thai singer and guitarist enamoured with the smooth Brazilian bossa nova grooves of João Gilberto. Nas' reverb-drenched sound is simple, resonant and clear – with the calming quality of a gentle wave washing over Ipanema beach. Nas is augmented at La Croisette tonight by Alan Breen's delicate flute and tenor sax stylings. Jack has also heard a careless whisper of a certain Sihanoukville-based singer making a special guest appearance at the riverside gig. A glance at this week's gig guide shows that the Phnom Penh music scene continues to provide a wealth of great music on nearly every night of week. Despite soaring temperatures and a dwindling number of tourists around the city, one is still faced with a choice of several great gig options on Saturday night. Olga & Ramirez and Lewis Pragasam make an early evening start on the Shanghai Bar rooftop, providing some laid-back Latin sounds from 7pm. Chilean-Swedish guitarist Pavel Ramirez has an understated and expert style, dovetailing nicely with master percussionist Lewis Pragasam's Cajon and Olga Andreeva's vocal. Saying goodbye is something that expats in Cambodia become accustomed to doing, particularly at this time of year when the heat is simply too much for many Westerners. Most of us stick around for between six and twelve months before heading back home. This results in a carousel of changing characters which keeps life fresh, interesting and surprising. The expat music scene in Cambodia is always coming up with new bands and different sounds. Jack often feels that, unfortunately, a band breaks up at the very moment they are maturing into a strong, rehearsed, and entertaining unit. That six to twelve month staying period is often the same length of time it takes to make a great band. MWAUKA & The Gang have been with us since last September or so, combining the outrageous stage presence and powerful vocals of French-Congolese Esther Mwauka with the exuberant Latin-infused drumming of Luis Arambarri and the energetic percussion of Ali Demberbouche. Together with acoustic guitar, bass and saxophone, The Gang make a groovy and fun outfit. They will be performing together for the very last time this Saturday night at FCC – The Mansion. The star of the show is packing up her Cambodian bags after nearly five years in Phnom Penh. Esther will be sorely missed and Jack wishes her all the best upon her imminent return to France. Also on Saturday, the fantastic Jahzad return to Equinox for an evening of ska-jazz fusion. One never quite knows which combination of saxophone, trombone, trumpet, keyboards, bass, drums and banjo to expect at a Jahzad show. Whatever configuration they employ, this instrumental-only band have the tunes, the musicianship and the energy to make every gig bounce. Those brave enough to venture across the Chroy Changvar bridge on Sunday afternoon can enjoy a riverside set from DJ Wah-Wah at the Boat House. Hint: the view of the sunset on the Tonle Sap river is much better from the eastern bank (and life is a little less hectic over there, too). 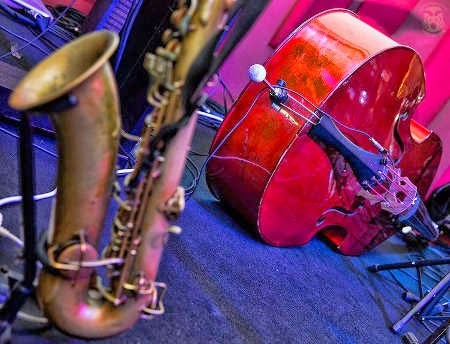 Live jazz can be enjoyed later on Sunday at Riverside Asian Bistro, where Seb Adnot performs American songbook standards with Phillipe Javelle and Lewis Pragasam.